I hope everyone in the northern hemisphere enjoyed their first weekend of Summer! This shelf fungus was quite small, so I only barely spotted the photo opportunity as I strolled by on a hike this past weekend. 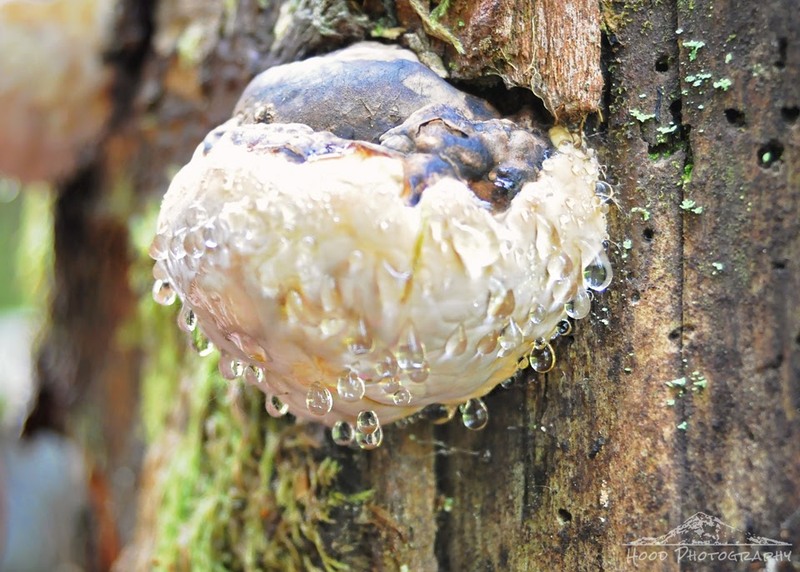 The mist had gathered in large droplets on the bottom and western facing side of the fungus. Terrific macro. It looks otherworldly.